My friend and CFI Mark called me up and said that the FBO at KCCR (Sterling Aviation) had just bought a full motion Baron simulator. Ironically the line guy had just told me about it while I was fueling up that very morning and I had made a mental note to go check it out. It turns out Mark will be doing some training in it, and being a high integrity instructor he figured he'd better learn the mechanics of it before charging his students. So would I be his guinea pig? Hell yes! Here is the cockpit, setup as a G58. 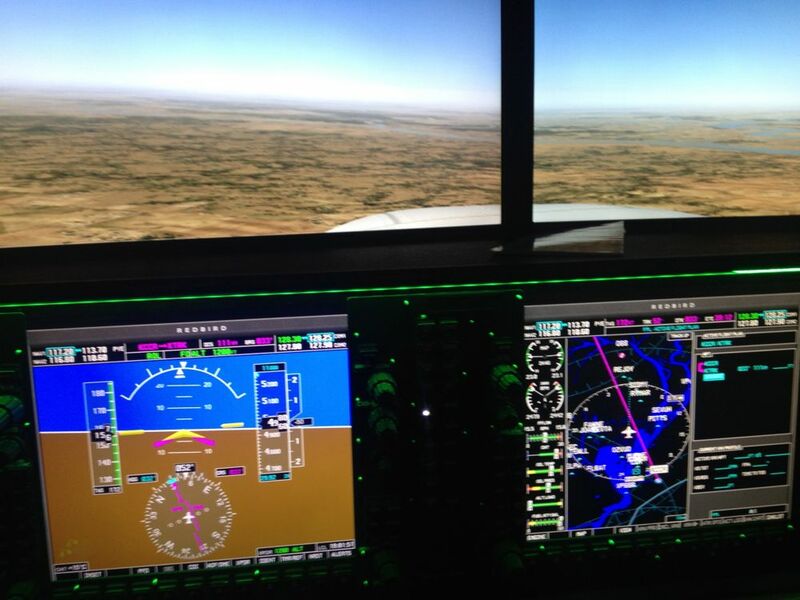 I haven't flown a G1000 in awhile, and not since I installed the GTN's in my plane. The logic is mostly the same but without the touch interface it's nowhere near as easy to use. 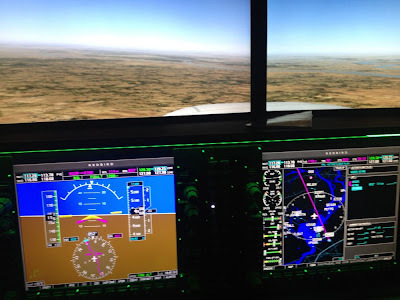 The G1000 is a great system, but to be frank I don't consider it an upgrade over a G500 + GTN 750. The G2000 on the other hand is in another league. 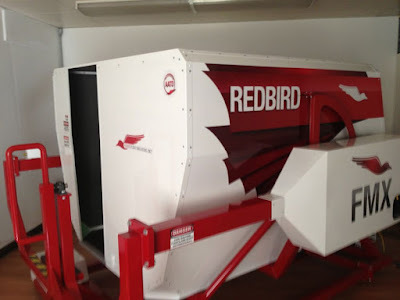 But I digress, the RedBird does a pretty decent job of simulating the Baron. There are few missing details such as there are no mag switches, you just just turn the keys to fire up both engines. 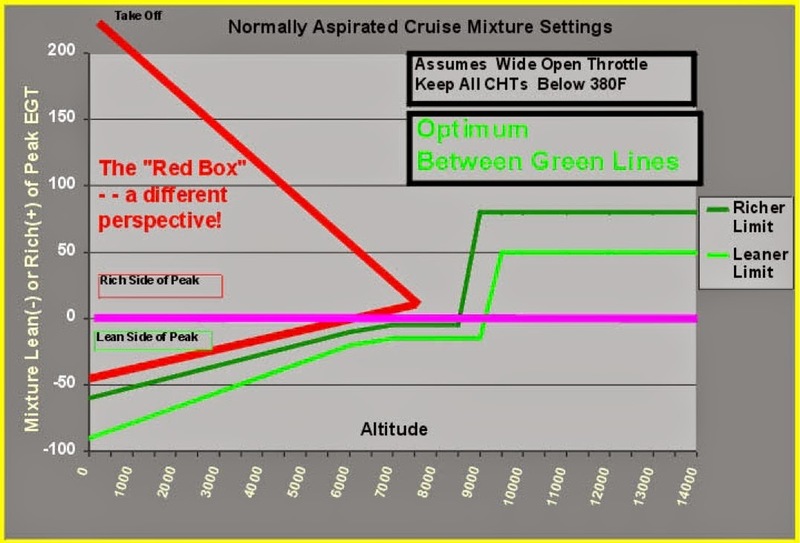 Like nearly every simulator I've flown, the sensitivity is a little over done and the throttle and prop controls are way too smooth and precise. Also I noticed it does a strange turbulence type of simulation whenever you pull the props back. I think it's trying to simulate a slowdown but that's not how it feels in the real world when you retard the props. 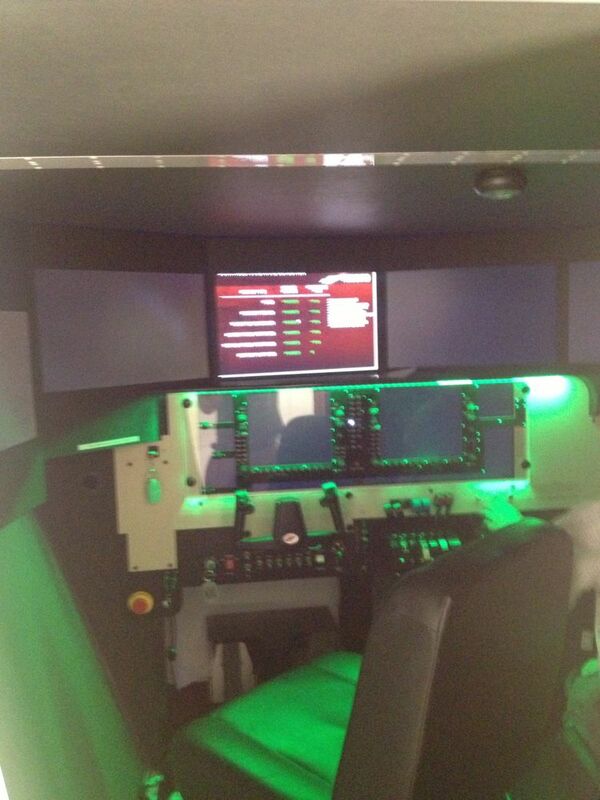 All that said, this simulator is actually really really cool. The wrap around screens really give you a sense of being in the cockpit, and the motion simulation is quite realistic. There are a few other niggling things that are either small issues or just things we just couldn't figure out. Mark drained the fuel from one of my tanks via the instructor station, and the fuel annunciator came on and the fuel gauge went to zero, but the engine kept right on humming. I didn't see a crossfeed switch and I certainly didn't enable it, at least not intentionally so maybe chock that up to a bug or a shortcoming. Then he failed the engine completely and it had a nice yaw, but not quite the real thing. I caged it and it feathered nicely, but then he gave me the engine back and it stayed feathered after I put it all back. No accumulators? Okay, I had to restart it with the key. Overall though these pesky details are pretty trivial... the simulator is extremely cool and realistic, and the motion sensations are very good. 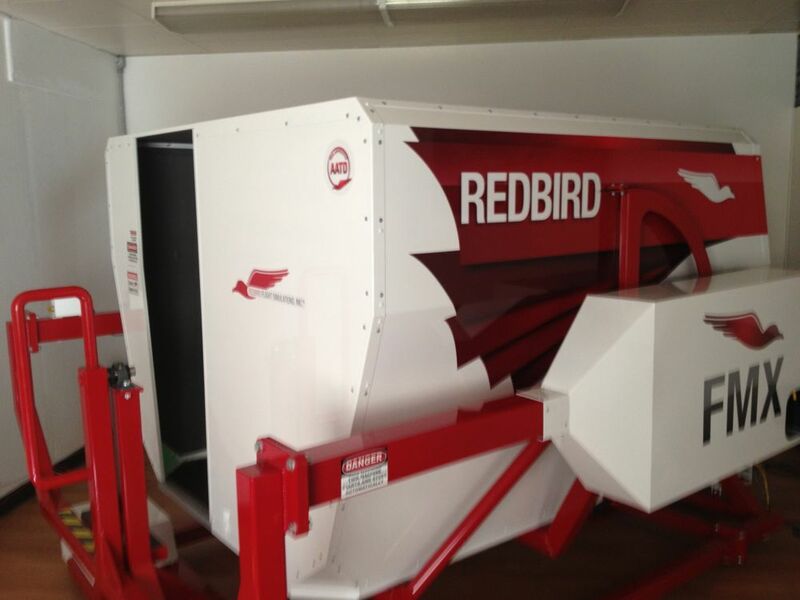 To learn the basics or even to practice procedures and simulated emergencies, the RedBird sim is a winner.